Influencer marketing, when done the right way, helps you engage and gain more fans, strengthens your brand, and boosts your performance. As an influencer, you have the power to engage your followers and create opinions; the more authentic you are, the more massive your followings are. 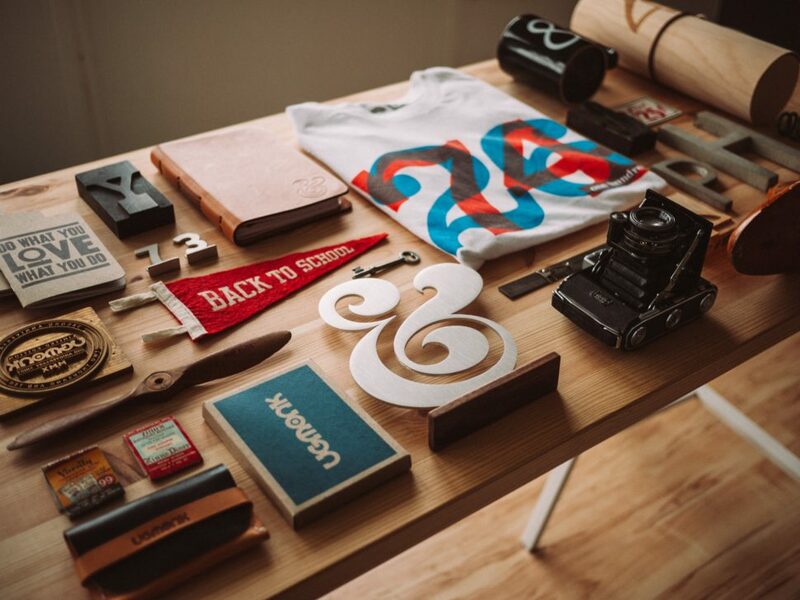 There are many ways to communicate with your followers, and one of the best ways is to create your branded merchandize. Step up your game and boost your influencer marketing strategy with Customon. See how your brand evolves while creating a dramatic impact on opinions and behaviors of your fans and followers. We welcome all influencers, gamers, creatives, and their followers! People love when you speak your truth, when you’re raw and honest to the bone. Use every opportunity to do so. Put your brand, your original design, slogans, or art on the products you and your followers like. Customon will support your authenticity, originality, and uniqueness, and help you reach more followers. Creating the best influencer marketing strategy in the crowded online sphere is somewhat difficult. Many voices create a noise and you don’t want to be a part of the noise. You already stand up for what you believe in, you take a firm stance on your principles, ethical topics, and you support organizations or people that you believe make a difference. This is why people love you and follow you. Your voice has so much power and your message goes out to your fans and followers, and influences them on many levels. Why not make your voice heard and your brand stand out even more? 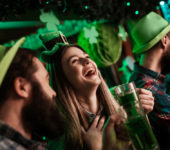 Why not connect with your fans and followers on more levels and make your presence even more consistent? Make your message and your brand even more applicable to your fans’ and followers’ lives with your own branded merchandize. People would love to have a t-shirt with your logo, a slogan, or a design! Customon is all about supporting influencers! We want to assist you in creating great products that will show your passion and ideas in your own, unique, and recognizable way. We create all the necessary conditions to make your merchandize consistent with your brand, but all the power is in your hands. Learn why Customon is your best merchandizer option. Don’t worry about finding a hosting provider – it’s already taken care of. Get Dedicated Client Manager. One of our Client Success Managers will assist you every step of the way at your request, from creating your Merchandize Shop, designing it, creating artworks, and with marketing. This person is an expert that assists creators, influencers, gamers, and their followers. So let Customon cover all your needs! No tech skills needed. Opening and designing your shop is so easy! Customon powers the entire backend for your online merchandise store – from production to fulfillment and customer service. Step up your game and become even more visible with Customon! Having all those fans following you on social media and wherever you are is awesome! But making money and monetizing this audience is even more awesome! 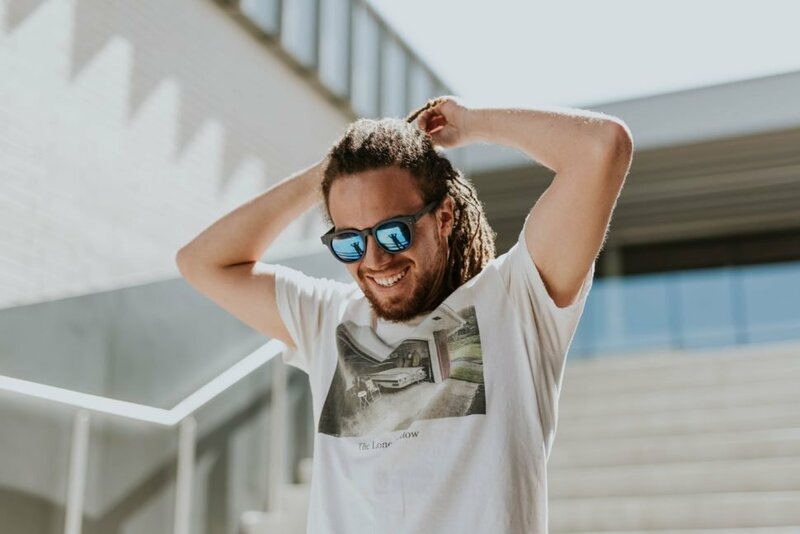 Boost your influencer marketing strategy, launch and design your own brand shop in only 5 minutes and make serious money. It’s easy, fast, and fun! 1. Sign up and create your account using an email address. On the page Start Selling Designs choose and click the orange button – Open your own Shop. Confirm the account using your email. The design of your Shop should reflect your brand and the influence you have on your followers. You can do all of this in up to 5 minutes! 4. Customon also provides you with social connectivity! Link your Merchandize Shop to your website and to your social media channels. These websites and social media links will be displayed on the profile page of your brand shop. 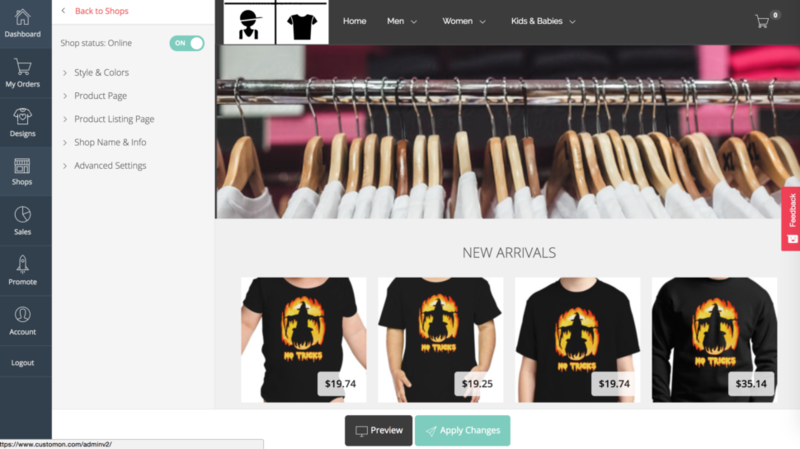 Customon provides an excellent user area for influencers that allows them to upload their designs and place them on multiple products in just a few clicks. This allows the user’s Merchandize Shop to be up to date instantaneously. Stand out with your Merchandize Shop and enjoy limitless design opportunities we provided so you can be able to represent your brand or label the way you wish. 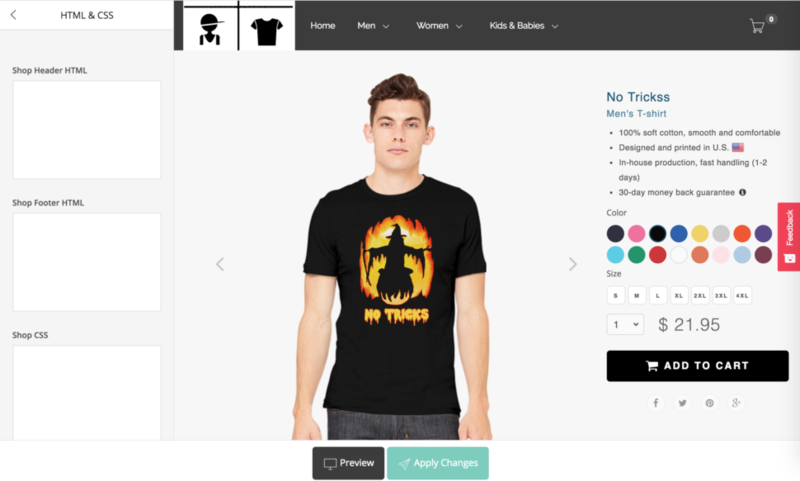 There are two ways to start creating your merchandize – you can upload your own, previously created artwork and customize it, or you can design a t-shirt, a mug, a hoodie, or some other product from scratch. Both ways are very easy because Customon Shop uploader is one of the fastest there is and our artwork management panel is one of the simplest to use. Even if you’re not a designer, you will be able to create fabulous designs. 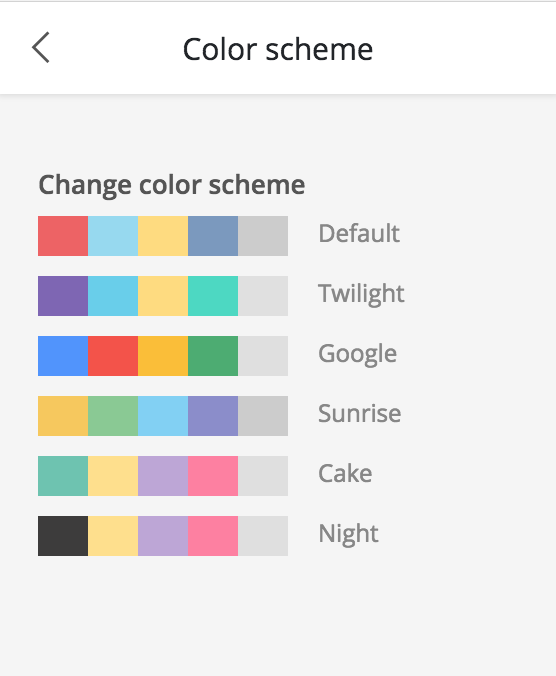 Choose from many design collections we prepared for you, filter these designs, and use different fonts and clipart from our large-scale library. There are no limits to what you can create with Customon! You can design your merchandize yourself, or you can let us know if you need a design service. One of our Client Success Managers will assist you in creating a design that will be perfectly aligned with your brand, your logo, a channel, or a label. Our design tools are up to date and will offer you limitless creative opportunities. It’s great having all those fans and followers. It’s awesome when you’re popular. But, wouldn’t it be even better if you could also earn more money? Develop your influencer marketing strategy with Customon and start planning and controlling your prices and how much you make. Make money from your own brand and earn not only money, but also an opportunity to keep investing in your brand. Think about the future and everything you could do! We are sure that you have lots of ideas! Award-winning customer service is or thing. Happy customers belong to you. When you start thinking about the price you should determine for your merchandize, consider the value and importance of your brand. Don’t forget the influence you have on your followers and how important your ideas and passions are to them. After that, take into consideration the value of your artworks and designs. Then think about the value of the merchandize. Customon will equip you with top quality t-shirts, hoodies, sweatshirts, tank tops, phone cases, and more. These products are made of the finest materials and will speak proudly for your brand. Also, don’t forget our top notch customer service. Your customers will get an award-winning shipment and control of their orders. We do ship fast, most of the time in 1-2 days. We also provide in-house production in the United States. Defining a price shouldn’t be complicated when you consider all of these. However, we want all influencers to be able to create their prices and plan their earnings in their merchandize shop. This is why we designed this cost-estimation tool that is very simple to use. We guarantee you a sales commission of 20% for each product sold. The Base Price of the product is always $20 and Shop Commission is always 20% of the Base Price. This means that we guarantee 20% of this base amount for each sale to the Shop owner. 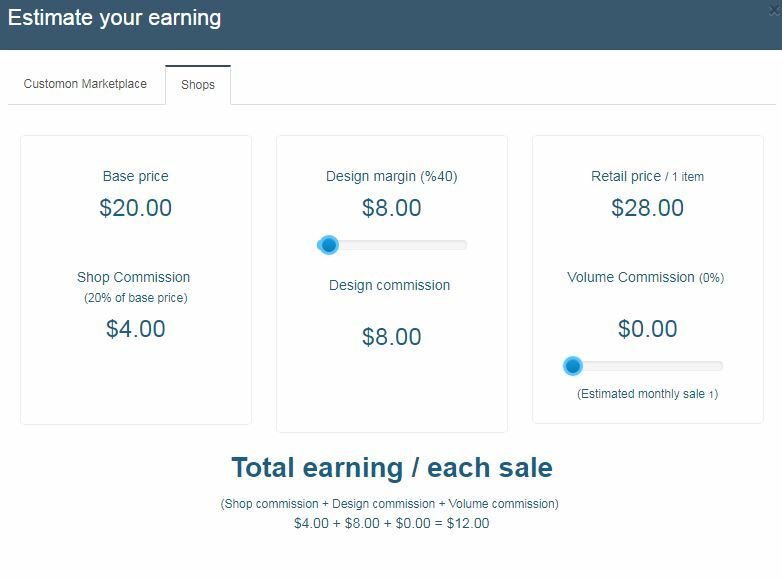 However, you are free to set up the Design Margin on your own and that way decide how much you earn on each sale and each product sold! This means that you are completely in control of your earnings. Design Margin can go from 0% up to 500% on the Base Price. This means that there are no limits to how much you can earn with Customon – you can make millions! Take your earnings to the next level with one of the highest commissions in the industry. 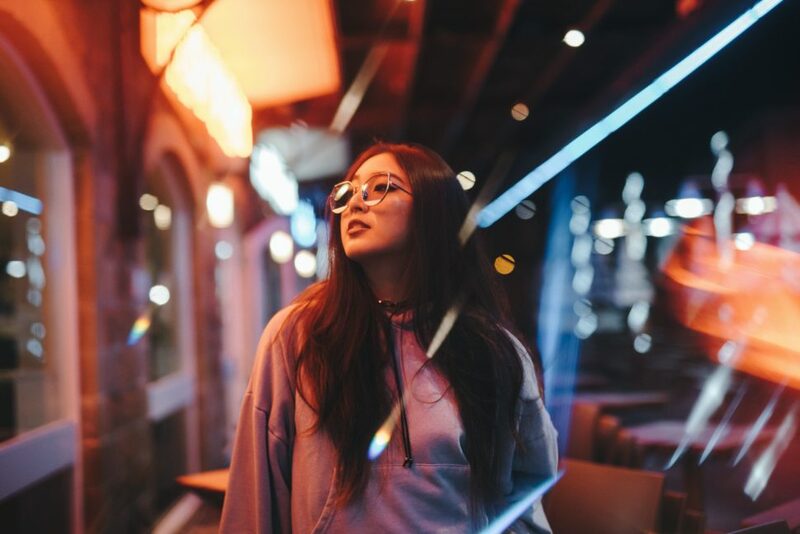 Your Branded Influencer Merchandize will create an even deeper connection between you and your fans. 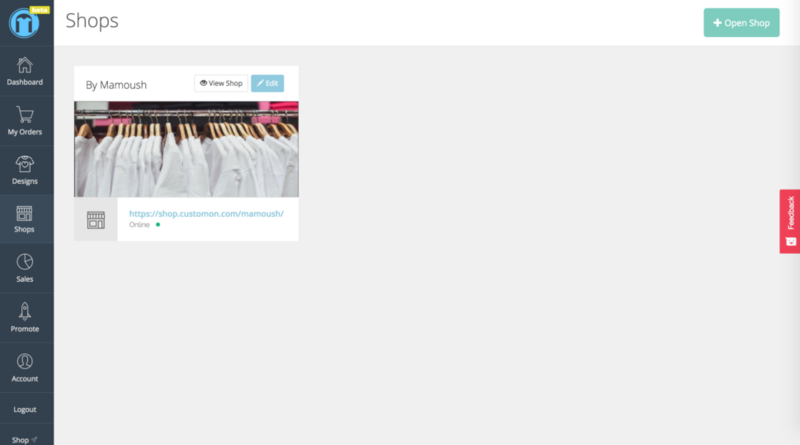 With Customon, you can literally create your own clothing line to speak to your followers and fans. You will increase your influence because, simply, you will be even more visible. People will proudly wear t-shirts with your artwork on them, hoodies with your logo, and drink coffee using mugs that you personally designed. Customon offers you an influencer marketing platform of a kind where you will be able to share your passions, ideas, and everything that you stand up for in the most creative way. At the same time, you will visually connect with your followers. Your influence will grow as your Merchandize Shop grows. With our limitless design options, both your shop and your merchandize will stay consistent with your brand, label, or channel. We keep up to date with everything and we react fast so you can adjust your shop and your merchandize to the seasons and trends. We do so because we know how important it is for influencers to meet the needs and wishes of their followers. Customon is a tailor-made marketing strategy and platform for influencers – YouTubers, gamers, and creatives of all kinds who make an impact on people’s lives. Open your own Merchandize Shop, design your branded merch, and provide your followers with products they want to see from you. At the same time, make money and keep investing in your brand, label, or a channel. Your brand will evolve, the number of your followers will keep growing, and you’ll be making millions. Can you imagine a better scenario? Let Customon empower your brand and help increase your influence today. 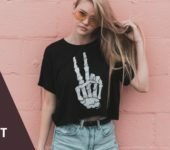 Register here for a Customon merchandize shop – Open Online Store and start selling your influencer designs.